Did you know? There’s a sandal that’s about to put the sandal business out of business. There’s a sandal that’s about to put the sandal business out of business. Let me paint a little picture of the trends that have dominated the sandal market for the last 20 years or so. When I say this picture isn’t pretty, I’m referring directly to the not-so-good-looking and sometimes flat-out ridiculous options that we’ve, sadly, probably worn in public. Where to start? Well, first let’s consider your garden variety flip-flop. There’s a reason you can still buy a pair of these foot-killers for two bucks at your local CVS. Flip-flops are the bargain-bin lightbulbs of the footwear industry. They’re disposable, and they’re made to last about a week. And I haven’t even started on what they do to your feet. Flip-flops are specifically designed for wearers to jam their toes into an uncomfortable thong and walk around all day clenching their little piggies for dear life just to keep the damn things on. Some sage advice: If you actually manage to hold onto a pair for a while, store them on your front porch. You could call flip-flop soles “memory foam” because they hold onto odor like Chicago Cubs fans hold onto memories of the 1908 World Series. The fact that this next category ever rose to popularity never fails to confuse and offend me. I’ll refer to them endearingly as “clunkers”, but they may as well be called “Gambinos”, because I’m sure they were designed with mafia-inspired cement shoes in mind. By some kind of strange magic, brands like Chaco and Keen have managed to convince the public that shelling out $100 for these 1-pound clunkers with military boot treads is a fashion or comfort revolution. The bigger, the better, right? Not really. 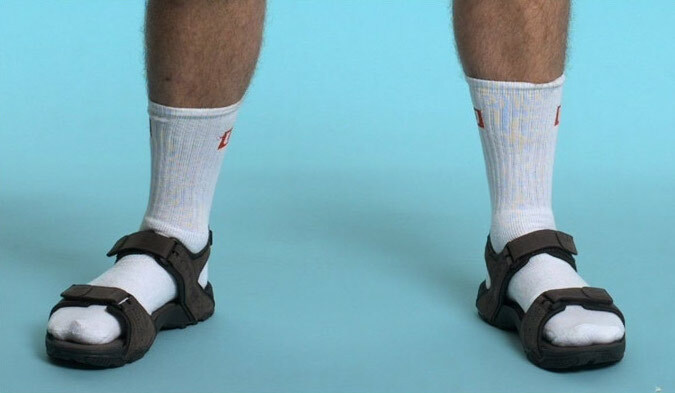 These are the cumbersome grandfathers of the sandal industry. And I say that because they’re most suitable for, well, cumbersome grandfathers. It’s 4 o’ clock, boys! Break out the bermuda shorts, shin-length white tube socks, and Chacos. It’s dinnertime! 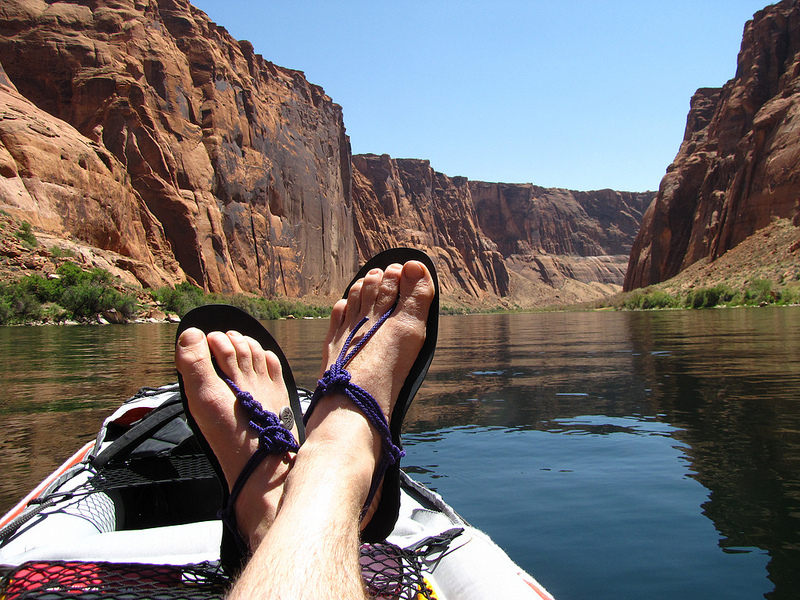 A quick update on Tevas. Yes, they still make them. And no, wading through a crowd of paunch-bellied, puka shell wearing Gen-Xers wearing college ball caps while avoiding empty plastic beer cups as you rush the stage at a “Dave” concert isn’t recognized as a sport. Not now. Not ever. Whew! I needed to get that off my chest. Luckily for sandal aficionados and people who like a little foot freedom like I do, there’s a sandal that’s about to change the industry for good. 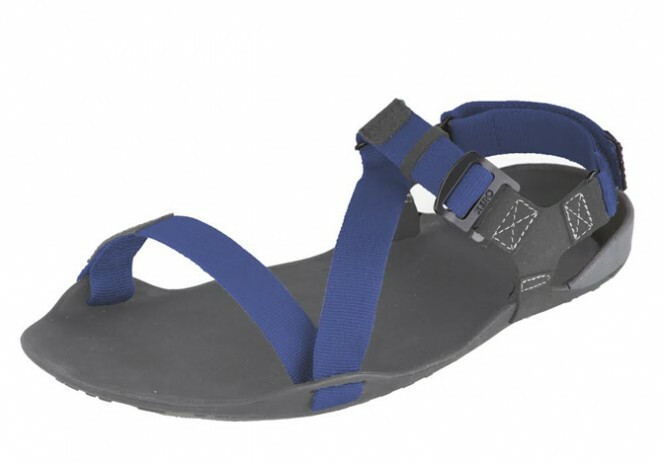 Colorado-based Xero Shoes has invented the lightest, most comfortable, versatile sport sandal your feet will ever love. With its sleek design weighing in at 6.6 ounces for a men’s 9, the new Amuri Z-Trek is setting a new standard for sport sandals. Xero Shoes uses an exclusive compound they call FeelTrue rubber that promises barefoot-like responsiveness and reliable protection from rocky or slippery surfaces. Similar to the tires on your car, these nearly indestructible sandals have a 5,000 mile warranty. The Amuri Z-Trek’s comfortable Z-pattern webbing strap system securely fastens these babies to your feet, giving you the confidence to traverse the most precarious terrain: hiking trails littered with jagged rocks, slippery wet boats, hot sidewalks, beaches hiding fun surprises in the sand, and indoor business establishments equipped with the scorn of “No Shoes, No Service” signs. Oh, and did I mention you can roll them up into a tube? In addition to making the Amuri Z-Trek perfectly packable, its extreme flexibility lets your feet move, bend, and flex as nature intended. Not only does this increased range of motion allow you to feel the trail and grip the terrain, but it can actually promote strength and balance that can protect you from potential injury. 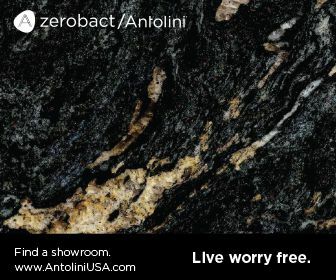 The Amuri Z-Trek’s versatility doesn’t stop at innovative material and design. You can wear these sandals anywhere, and do nearly anything in them. I’ve mentioned their ability to cover rocky and slippery surfaces, but it’s amazing to consider these featherweight sandals are also for the go-to footwear for quite a few ultra-marathoners around the world. Ultra, as in 50-150 miles. In sandals. If you’re like me, though, and the mere thought of jogging to the mailbox has you grasping wildly for your inhaler, fear not. Though the Amuri Z-Trek is a perfect substitute for your casual flip-flops, Xero Shoes also offers two additional designs that are even lighter and more flexible. 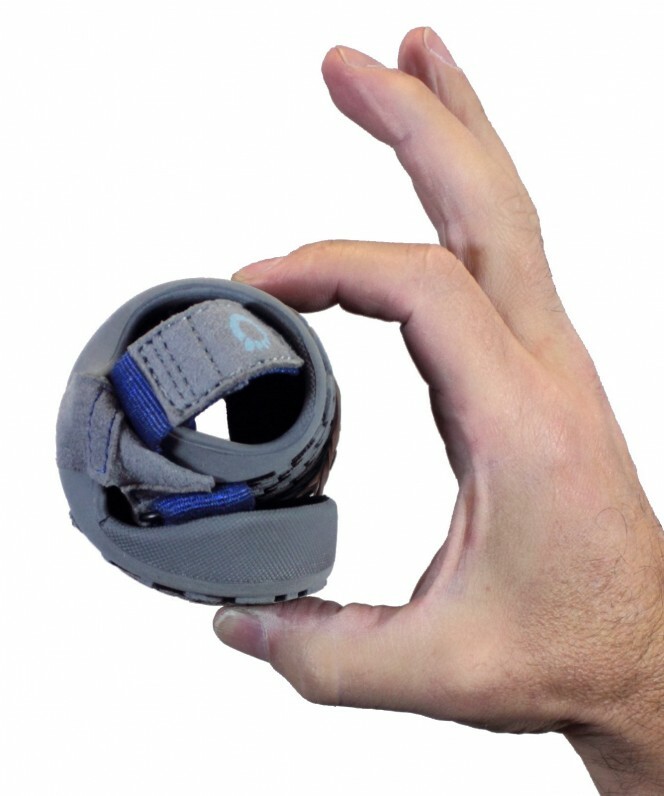 The Sensori Venture and Amuri Cloud feature a revolutionary new lacing system that will put the old flip-flop thong to shame. The combination of a 4mm polyester cord that wraps comfortably around your ankle, and a reinforced Achilles strap over your heel holds the sandal to your foot during almost any activity and actually eliminates the unpleasant “thong toe” feeling. Considering the range of Xero Shoes options and the fact that they only cost $40-$60, yesterday’s sandal industry giants should be afraid. Very afraid. Xero Shoes has been selling primarily online, but is branching out into retail starting this year. Learn more about the benefits of Xero Shoes here and here.